Did I Feature YOUR Fabulous Feedback? Hey friends, this is a fun little linky party hosted by Christina over at Bunting, Books, and Bainbridge. 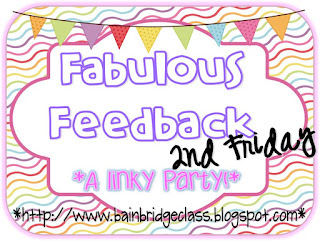 On the 2nd Friday of every month, she will be hosting this Fabulous Feedback linky, so make sure to check the links on her blog and see if YOUR feedback is featured on any of our blogs! 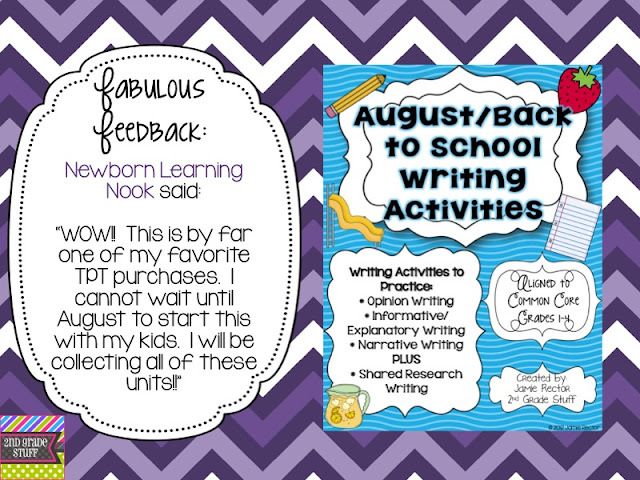 The fun part: If you see your TPT username or feedback is featured on my blog, leave a comment with your email and I will give you a FREE product of your choice of similar value from my TPT store! Isn't that fun?! Check and see if your Fabulous Feedback was featured below! 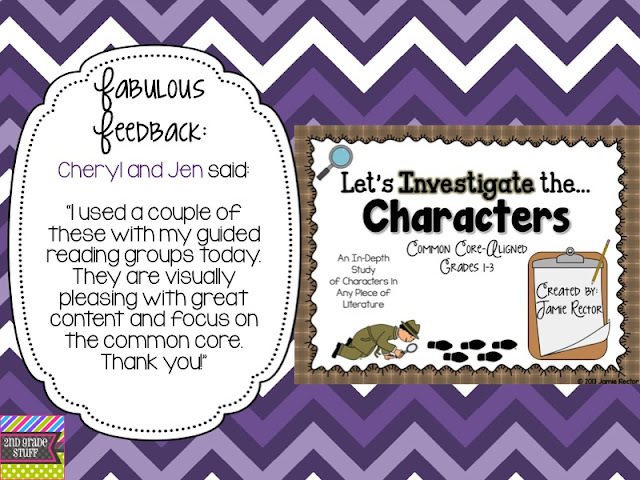 First Up: This feedback was provided on my August/Back to School Writing Activities Unit. I love that she is coming back for more! :) If you are "Newborn Learning Nook" on TPT, leave me a comment with your email to redeem your FREE product! Next Up: This feedback was left on my Let's Investigate the... Characters pack. I think this product is so fun to use with a mystery unit or guided reading groups, as Cheryl and Jen stated below. If you're "Cheryl and Jen" on TPT, leave me a comment with your email and I'll send you a FREE product of your choice! I love your products!! Glad that you have made all those writing packs! I will be adding a few more to my collection asap!